Whether your business is small or large, you have got a set of strategies to in place. These can be to ensure that it is functioning, to improve the performance or to increase productivity. In today’s digital economy, marketing and strategy planning has changed a lot, and new techniques have come up. This article will discuss one of these techniques: SEO. SEO or Search Engine Optimization is one of the most popular forms of organic marketing strategies that many businesses have adopted. However, it can be difficult, and sometimes daunting, to plan an effective SEO strategy. Different companies have their own set of SEO strategies, and that is why one business cannot adopt the approach of another and expect the same results as they vary. If you are running a small business, here are some practical ways in which you can craft an SEO strategy for your business. Meta titles and descriptions can be easily optimized. You should always remember that most people will be attracted to your website by reading the meta title and description you have put up, these are what is displayed on the search engine results page. So it is critical that these two elements be comprehensive and informative. When they are informative, the reader is able to get a brief idea about what the page is offering and if it matches their needs. The length of the meta title should be between 50-60 characters, and descriptions should be around 160-200 characters max. Every word you type in a meta description needs to be thought out, and to keep the needs of the reader in mind. Make sure to describe your business offering clearly, and if you want your business to be found by locals enter the city or geographical location you are based in. An effective way of boosting SEO is to register your business on the Google My Business platform. This will ensure that your business gets better exposure and local search traffic. When your company is on this platform, and a user is searching for a service, Google will show your business in the results if the locality and service query match. To register you will need to verify your business on Google and log in to your account. Once you have confirmed and completed the registration process, your business will be verified, and Google will display it in search results. SEO head of SeoBirdie says that listing your business on Google My Business helps to increase traffic and users by a considerable margin and consequently improve sales. It’s been made clear in recent years that when you get a positive review, it adds to the overall improvement of your visibility on their search engine. So as a small business, it is beneficial to receive positive reviews. So, you will need to pursue receiving reviews from your customers, and strive to provide a positive experience for them. Learn how your customers are giving feedback, ask them to leave a review when they’ve completed the transaction with you, or when they receive the item. If you receive a negative review, make sure that you know what to improve upon so as to not repeat the mistake. The more you provide a better experience, the more likely you are to receive positive reviews, and the better the Google algorithm will rank you up. Quality over quantity is the rule when it comes to content. It is better to fill your website with a few great, insightful and helpful pieces of content than a bunch of poorly made articles. People browse online to find relevant and original information about different things that interest them, so they more engaging and helpful your content is the more traffic you are likely to receive. The better your content becomes, the more word will spread, and you will take your small business to new heights. Your viewers and followers should always receive informative content which will enlighten them or provide them with answers to their questions. Remember that your business should always be preparing articles based on what the customers need. Once you have planned your SEO strategy and implemented it, you will need to analyze the results. Go through all the elements of the plan once again and make sure all of them are working as they should. You can use different keyword ranking tool and check how well your keywords are performing. If you do this frequently, you will be able to track your progress and adapt things with ease. Other than that, you can also use Google Analytics to check the bounce rate, traffic rate and other metrics of your website. This will provide you with insight into how your SEO strategy is helping your business and whether you need to make further changes or not. 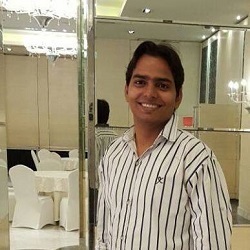 Manish Kumar is a Content Marketing Manager at Tangensys, an SEO company in India. With several years of experience he has learnt how to balance creativity and technical requirements to create captivating content. He loves creating new content marketing strategies for his customers.